"Cervantes’s story of the bumbling knight Don Quixote has inspired countless artistic interpretations. Marius Petipa choreographed this sparkling ballet about the encounters of the man from La Mancha and his faithful squire Sancho Panza. At its heart are virtuoso roles for the lovers Basilio and Kitri. Carlos Acosta chose this joyful classic for his first production for The Royal Ballet. His vibrant staging brings together the whole Company in such roles as exuberant villagers, passionate gypsies and even fantasy flowers. The story follows Don Quixote’s picaresque journey to do deeds in honour of his imaginary noble lady, Dulcinea. 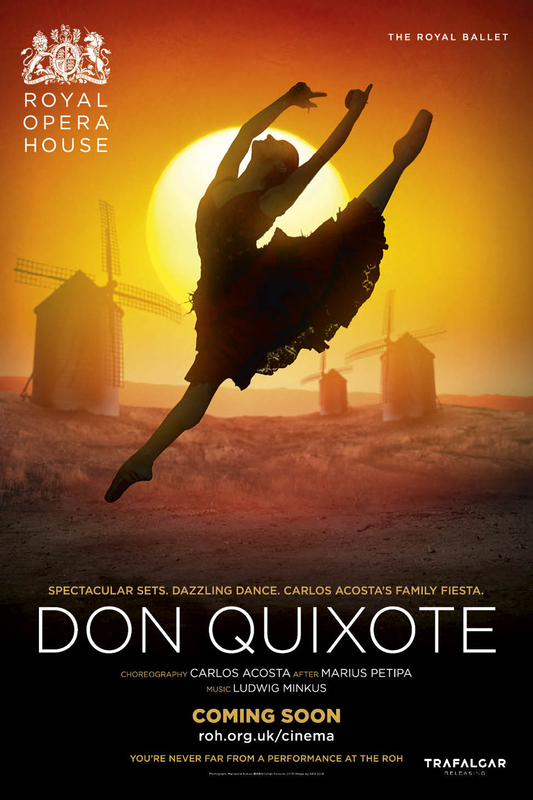 Sunny, charming, funny and touching – Don Quixote is a ballet as full of uplifting emotion as it is of astonishing ballet technique. "